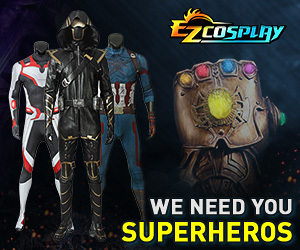 Hello lovely ladies of Cosplay.com! If you have ever heard of FanimeCon, the largest convention is norcal, you may have heard of its resident maid cafe. Audition season is just around the corner, so if you're interested in becoming part of our meido family, here's everything you need to know about our 2015 auditions :)! 1. You must be a girl, and at least 16 years of age by FanimeCon. We are strictly a [u]maid only[/u] cafe. 2. You need to provide your own registration, transportation, and approved uniform. 1. You love anime/manga/games and have an interest in maid cafes, moe-kei, and Akiba culture! 2. You want to learn how to be a maid, dress up in a cute maid uniform, and meet people! 5. You're willing to be on a team with a bunch of cute maids and give it your all to make Fanimaid Cafe 2014 as awesome as ever!!! Note: When you become a volunteer at FanimeCon and work up to 20 hours related to Fanimaid Cafe, you may be reimbursed for a full-weekend badge! But you still need to purchase your registration first, and ask about volunteering by contacting the volunteering department, or upon pick-up. We'll be hosting try-outs starting [i]late February[/i], and we need you to pass ONE try-out in order to volunteer. (Please show up to only ONE try-out.) Upon passing, we require you to keep up on e-mail updates and announcements, as well as attend a mandatory meeting on Friday evening of FanimeCon. [b]Weller Court at Little Tokyo, LA:[/B] The L.A. tryout will be hosted in Weller Court. See the [url=https://www.facebook.com/events/1560640150857941/]Facebook event[/url] for more details. ** PLEASE NOTE: We are no longer doing the public mailing list. If you would like to try-out, please show up to one of the try-out dates. Online applications will [i]not[/i] be offered this year. The option to apply online will only be given under special circumstances. Please send an e-mail to [u][email protected][/u] if you have any questions or negotiations regarding this. Fanimaid Cafe is a fun experience, and many of us have made irreplaceable memories and experiences making friends and growing together, as well as found many opportunities through our event. We welcome many of you to join our family, make friends, work hard, and most of all, have fun! Our staff consists of knowledgeable, helpful, and supportive people here to make Fanimaid Cafe a great team to be a part of. Being a maid is a lot of hard work, but if you're willing to give it your all, we promise you that it'll be a memorable experience. Let's go Fanimaid! &#22987;&#12417;&#12414;&#12375;&#12423;&#12358;! Hajimemashou! If there are girls from L.A. who are interested in applying, we will be hosting a tryout in Little Tokyo mid March! Time and date TBA. Girls who are unable to make an in person try-out should also email [email][email protected][/email] in order to schedule a Skype tryout.